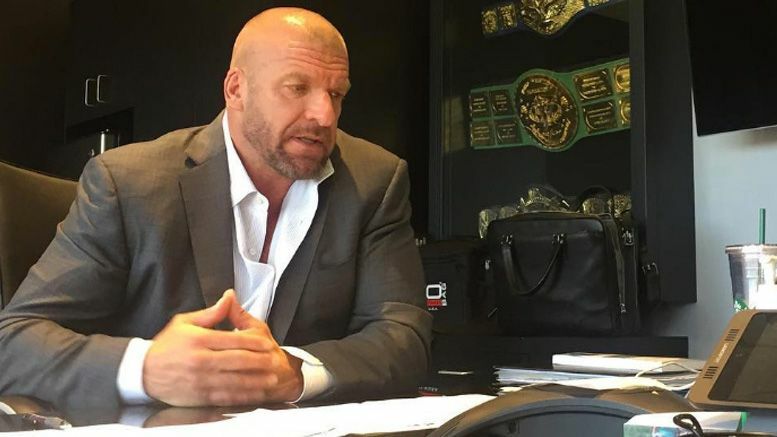 Triple H took part in a conference call with the media ahead of NXT TakeOver and Pro Wrestling Sheet was on the line for any newsworthy tidbits. On Velveteen Dream’s recent tweets: “I have not spoken to him about it. He is a remarkable young man that is wonderfully gifted on all levels.” Says Dream is good at creating buzz around himself. The NXT UK brand will likely have some involvement at WrestleMania weekend this year. That he’s been cleared to start training again following his recent injury and that he’s extremely sore from doing so already. A few international WWE Performance Centers popping up in the next few years is realistic. Locations are being scouted for possible international Performance Centers in India. They’re going through the process of figuring out what regional areas are most advantageous for them to have a team in that will connect them to partnerships being established. On The Rock’s daughter Simone Johnson training at the WWE Performance Center: “She probably, I know, has the bug of the business. She has caught the love of it from her father.” Noting that The Rock is big on her taking the right steps in getting into the business.